Mark Perera fronts Old St Labs – builders of technology that enables enterprises to forge deeper and more valuable relationships with their buyers and suppliers. He will be appearing at our inaugural Big Ideas Summit on 30 April, the world’s first digitally led event for procurement. Mark – no stranger to innovation himself, talked to us about his world and shared some of his own Big Ideas. Procurious asks: Mark, you’re heavily involved in the London start-up scene. How are we seeing this disruptive start-up mentality breaking into the procurement world? Mark Perera: The London startup scene is really booming at the moment, and it’s great to be a part of it. There have been some real success stories coming out of London, and we’re now thought of in the top tier of startup cities, behind Silicon Valley and New York City. In terms of how the startup community is disrupting the procurement scene, I think the best is yet to come. We’ve seen some great companies like C2FO changing the game in the B2B and the finance sector, but I don’t think we’ve seen truly disruptive technology hit procurement yet. Procurious: How about Coupa and Procurify? Aren’t they the flag bearers for the new disruptive model of procurement? Mark: What Coupa and Procurious have achieved is impressive, but I’m not sure I’d call it disruptive innovation. Coupa is probably disruptive for Ariba because they are doing what Ariba does but they are offering a better user experience; however, I’m not certain they are disrupting the way that procurement operates. Procurify is similar story. By offering a more competitive price point, they have opened up the market for small and medium organisations to start leveraging procurement technologies. However, the services they are offering are not unique in the market. If you look at what C2FO has achieved, you’ll see that they have changed the way companies are managing working capital. At Old Street Labs we’re looking to fundamentally change the way businesses collaborate, we don’t see why procurement software should miss out on the brilliant user interfaces and technology platforms that companies like Google and Facebook have implemented. Coupa and Procurify may have slicker interfaces and more affordable price points, but they are essentially solving the same problem that Ariba solves. Procurious: You are one of the founders of the Procurement Leaders Network, a business that was established more than a decade ago, how have you seen procurement technology come along in that time? Mark: If I was to sum procurement technology over the last decade in a word, it would be “consolidation.” Ariba bought Procuri, then SAP bought Ariba. This is a trend that has been replicated across the industry. Prior to being bought out by IBM, Emptoris had acquired some smaller firms. Very few new tech companies make it through without this happening. If someone comes up with a great idea, it is quickly bought out by a larger firm. Ariba bought Procuri for its cloud capability, which is the same reason that SAP went on to buy Ariba. I think the most interesting developments in tech in the past few years have been around the collaborative models of companies like AirBnB and Uber. It will be exciting to see how this approach and the sharing economy will be leveraged into the procurement world. I think there will be some drastic changes over the coming years as new, slicker, more nimble firms begin to fill gaps left by the large ERP providers. The real changes will occur when we stop looking for 10 per cent improvements and starting using the Google’s 10X mentality (changing the way businesses run to enable improvement by a factor of ten). Procurious: Tell us a little about your latest venture, Old Street Labs. Mark: Old St Labs, is a software company that enables enterprises to forge deeper and more valuable relationships with their buyers and suppliers. Our first product is called Vizibl (http://vizibl.co/) it’s a cloud-based platform for individuals and teams to deliver a real return on their commercial relationships. We’ve created an environment in which buyers and suppliers can work together in productive collaboration. We want both buyers and suppliers to understand each other in as much detail as possible and to be able to match the right individuals, teams and skills to the right tasks. Vizibl enables you to carry out effective Performance, Innovation and Risk management through intuitive dashboards and reporting. Procurious: So if unlocking innovation is the key to procurement success, can you point out any organisation that you feel has done this well? Mark: I’m not sure that unlocking is the key to procurement success, but it certainly is a driving factor. The businesses that have done well to date are generally from the FMCG and Automotive sectors. It’s hard to argue with Apple’s track record of developing innovative approaches through close relationships with its suppliers. Apple continues to produce great products that sell, and they can do this because they are close to their supplier base. I’d say that makes them the benchmark from an innovation POV. There are a lot of businesses that achieve innovation in isolation but struggle to sustain and integrate it into their business culture. A big part of this is that firms have not found the right technology to support the process. Often, people are forgotten in the process, so the challenge remains to build a simple, beautiful, powerful business tool that can support organisations in their efforts to be more innovative. We believe we’ve achieved this with Old Street Labs. Procurious: Big data, wearable devices; what’s next in procurement technology? Mark: This is an interesting question. I don’t think we’ve really seen big data in procurement yet. There have been attempts, but we’ve yet to see a truly great solution. Part of this is that procurement struggles so much to manage their own internal spending data. The complexities of big data solutions seem a step too far. At Old Street Labs, we’re currently looking into a big data solution for procurement, so watch this space. Big data is a huge opportunity for procurement, but I think first we need to focus on building technology that people love to use. After years of clunky experiences on SAP and ORACLE, our expectations of procurement technology are pretty low. But across the tech industry, we are starting to see applications that are a mixture of behavioural science and technology—this is where the future of procurement technology lies: in building something that truly resonates with users. In terms of wearables, I think we need a little time to see how these technologies work before we understand their commercial potentials. There is still so much that we can do with mobile devices that we aren’t doing yet, and these devices have been around for a decade. The Apple watch looks like a huge opportunity, but, from a procurement point of view, we really haven’t utilised the mobile phone to its full extent so it could be best not to get too far ahead of ourselves here. 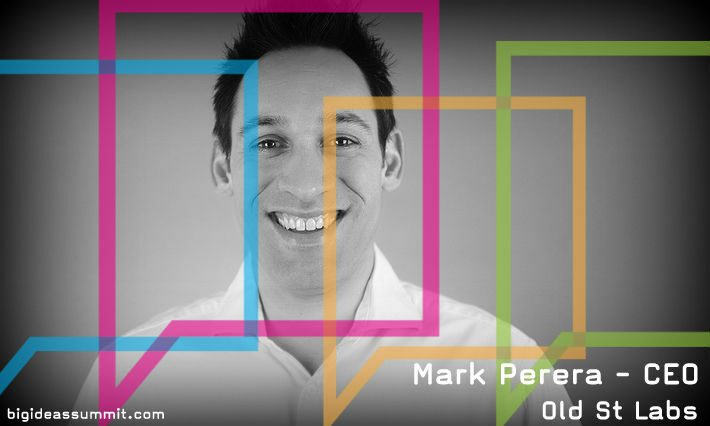 Want to hear more from Mark and our other Big Ideas influencers? Join in with the discussion by registering on our Big Ideas Summit Group.